Call for Member News & Highlights! In Notes from the the Northwest, we would like to pause and recognize our members for their accomplishments and significant happenings. Keep reading below for more information on each of these item! 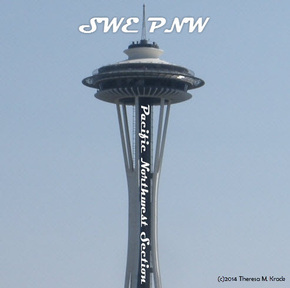 ​Please contact swe.pnw.membership@gmail.com with comments, suggestions, and submittals. We would like to recognize our members for the awesome efforts they put in to help the section. This may be a recognition of a volunteer at event or someone who stepped up to help with set-up. It’s a pause to recognize even the littlest of things that help make our members and section fantastic! We’ll keep this space in the newsletter reserved to help spread the good word about what our members are doing – hopefully we’ll have some great notes to share in our next newsletter. We want to get to know you, our members! Our member spotlight provides a space for a member to provide a 200-300 word count write-up, introducing themselves to the section. We also encourage that you include 1 photo of yourself for inclusion with the article. Additionally, if you are willing, your member spotlight write-up will also be featured on our blog (don’t worry, this isn’t required!). ​You can include whatever introductory information you’d like to – time in SWE, types of SWE roles, hobbies, activities, job/career, family – whatever you would like to share with the section! If you are interested in submitting an article for member spotlight, please contact the Virtual Brand Team!